In a high disturbance environment, transition to turbulence is characterised by the growth and merging of turbulent spots. Transition is particularly important in practical applications in high speed aerodynamics since surface heating is much higher in turbulent flow. 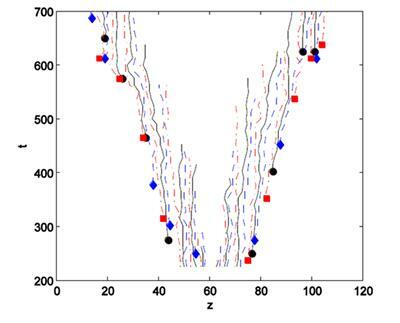 In this work the effect of Mach number and surface temperature has been investigated using direct numerical simulation, whereby all the scales in the flow are resolved. 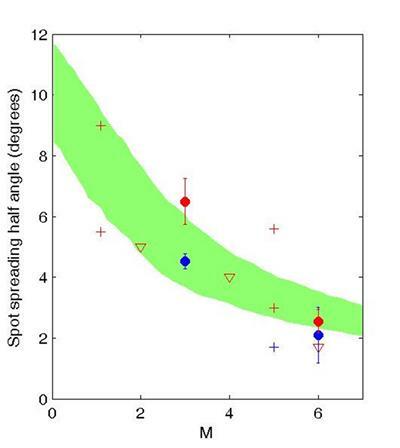 Very strong compressibility effects are observed, with large reductions in spot growth rate and significant changes in spot structure. 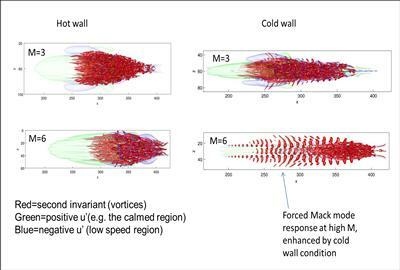 Of the two mechanisms for spot growth, namely lateral advection and flow destabilisation, it appears that the latter is the one that is significantly damped with increasing Mach number. Wall cooling is found to also have a stabilising effect.